I wrote earlier this week about this rare Antarctic medical evacuation. You see there were two patients in Antarctica, that were in dire need for medical care that could not be provided at the South Pole. This is only the third Antarctic rescue mission to be undertaken, so it is pretty exciting to follow. Earlier this week, two winterized Twin Otter bush planes flew south, one continued onward to Antarctica. This post will cover the latest updates from the National Science Foundation. 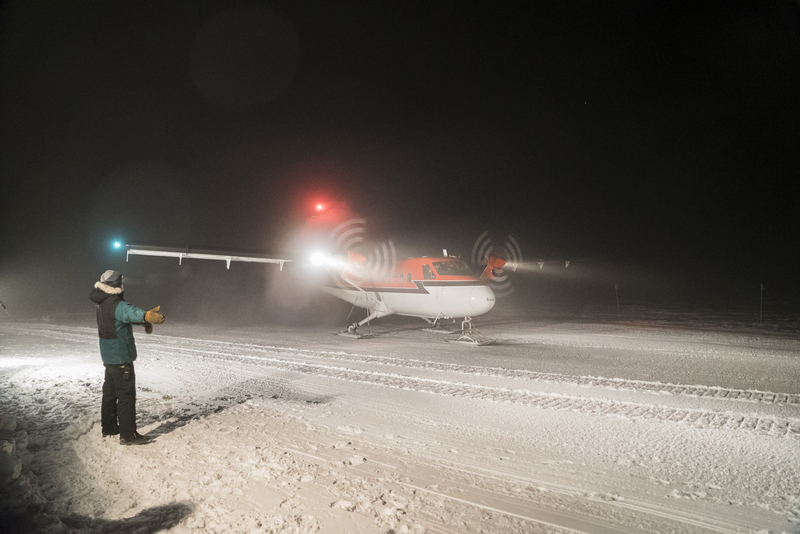 Twin Otter for Antarctic Medical Evacuation – Credit: Robert Schwarz, National Science Foundation. The National Science Foundation has shared that a Twin Otter (one of the two mentioned above) has successfully landed at the British Rothera Station on Antarctica. The Twin Otter and crew spent just over 10 hours in Antarctica, to account for necessary rest before flying out. Following the crew rest, the Twin Otter was able to depart, carrying the two patients in need of medical care. The weather forecast necessitated an immediate departure.